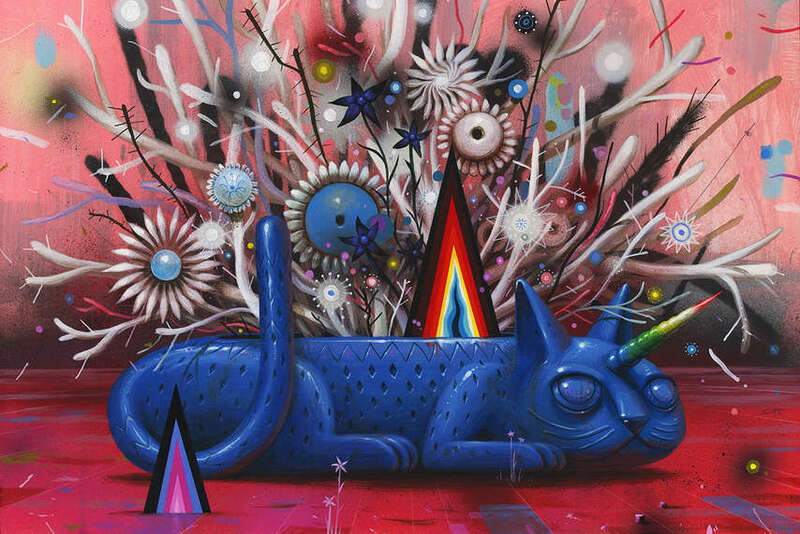 The art practice of Jeff Soto occurs in the period of almost two decades and is rounded media experimentation and establishment of artist’s authentic style. The affinity for fantastical narratives makes his work hard to categorize. Whether he is producing the paintings inside of his studio or outside on the walls, the core of the process seems to be deliberation of artist’s internal fears, hopes and humor mixed with his social and environmental respectively political attitudes. 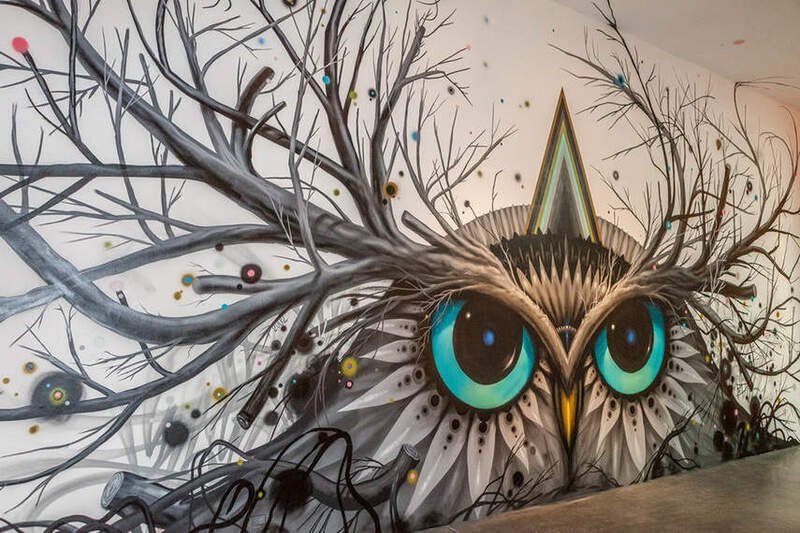 By not limiting his imagination and employing spontaneity Soto is creating distinct compositions rendered by graffiti art and traditional painting in most innovative manner. Jeff Soto is an American artist concentrated on transferring his magical visions in the variety of media from street art to digital design. Jeff Soto was born in 1975, in Fullerton, California. Growing up in the multimember family with parents occupied with outdoor activities such are gardening, fishing and camping provided the artist with awareness about his environment and gave the perfect setting for spurring the creativity. According to that Soto’s interest in art was natural and he began to experiment with various genres and art techniques while in high school. After finished high school, in 1993 he started studying Riverside City College in a pursue of Associate Degree in Arts. Soto extended his studies by transferring to Art Center College of Design in Pasadena where he specialized in Illustration. The artist’s distinct color palette and technique are largely connected to his affiliation with street art. Soto’s fascination with graffiti culture started at the end of 80’s when he discovered the book Street Art. Soon he started stenciling alone and even formed a crew with his friends named Criminally Insane Artists while still in high school. Soto later named himself with a moniker KILO, TREK and Sotofish. In 1991 started painting with the artist Maxx242 and together in 1995 they formed Bashers Crew. A couple of years later he decided to take a break and dedicate to other means of art but returned to graffiti roots around 2009. The apparent inspiration that Soto draws from nature is related to his background but is upgraded to a higher level. Those are not just mere depictions of animals or plants, rather the figures that he paints are a product of his influences spanning from science fiction, fantasy movies and overall atmosphere of the 80’s. On the other hand, from the standpoint of art history, Soto is very much enchanted with works of Max Ernst, Amedeo Modigliani, and Andy Warhol. Although Soto’s works may seem a bit intimidating, dark and surreal, the compositions are the reflection of his immense imagination and are thriving stories from another world. The year 2002 can be marked as the crucial year for further development of Soto’s growing career since he started exhibiting in gallery spaces and freelance illustrator specializing in editorial work. From that point onwards his activity can be described as fully heterogeneous so the term crossover can be attached to his work. 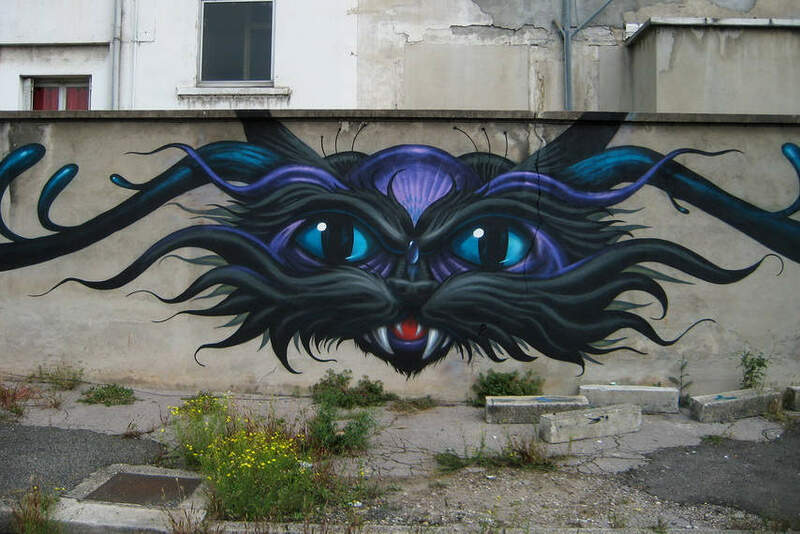 In 2007 after the show in New York, he decided to establish a apparel project Stormcloudz, the same name as the exhibition was, in order to promote his work globally.From street art roots, Soto due to the course of time has developed the authentic personal style which grows and now is nearer to Pop Surrealism then usual graffiti aesthetics. Aside from his commercial success as an illustrator and designer of both large companies and famous bands, the artist’s huge effort, experience and particular style led him to become recognized and established on American soil, as well as internationally. 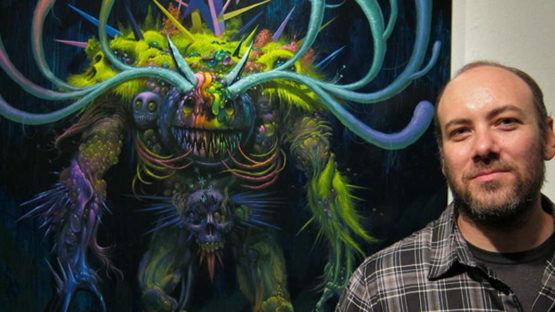 Jeff Soto lives and works in Riverside, California.